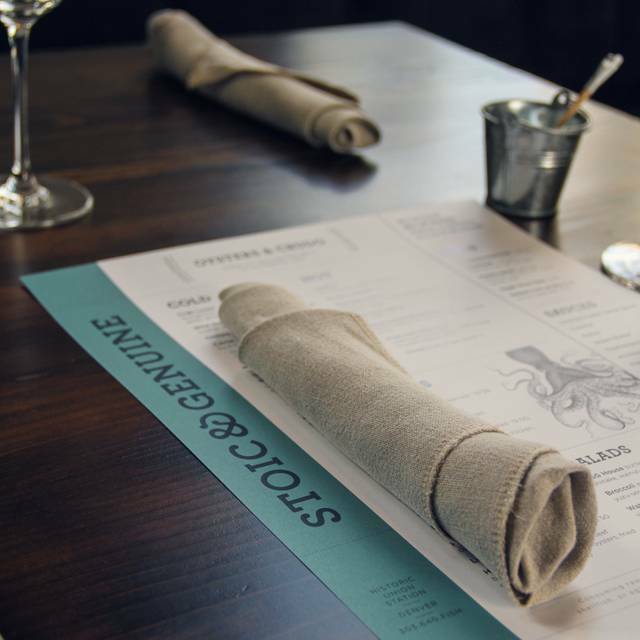 You must make reservations at least 5 minutes in advance of the time at Stoic & Genuine. 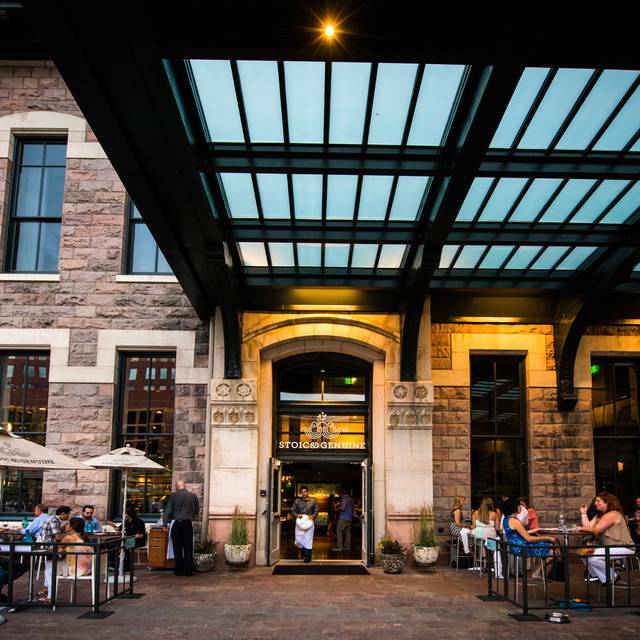 Denver’s historic Union Station is the perfect setting for Stoic & Genuine, an iconic multi-coastal seafood, oyster house and granita bar. 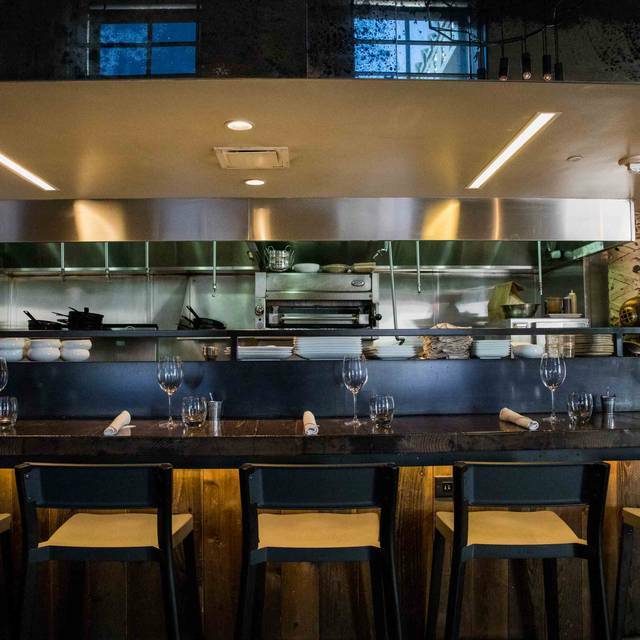 This is the latest restaurant from the team that brought you Rioja, Bistro Vendôme and Euclid Hall including James Beard Best Chef Southwest Jennifer Jasinski and her business partner Beth Gruitch. The full restaurant is available for receptions. Welcome to Stoic & Genuine! Please contact the restaurant directly for dining availability. Denver’s iconic multi-coastal seafood, oyster house and granita bar committed to impeccably fresh, sustainable, and creative seafood preparations set in the grand ambiance of Denver's newly renovated historic Union Station. 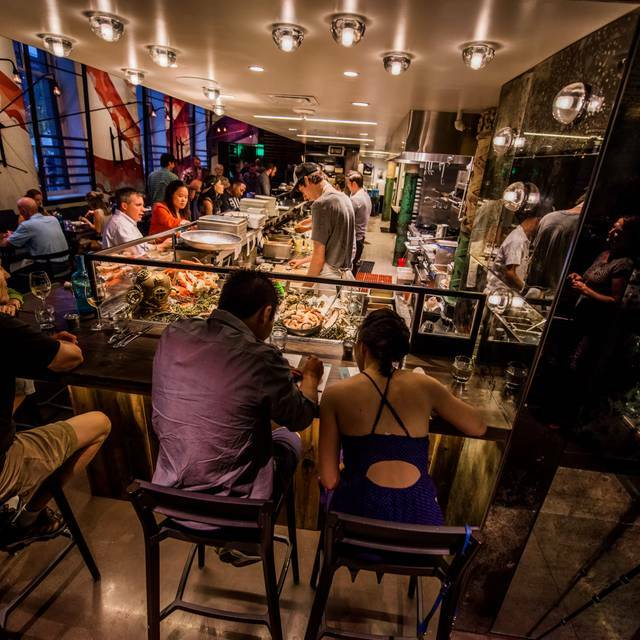 An exhibition kitchen opens up to a fresh raw bar with ever-changing selections of shellfish. 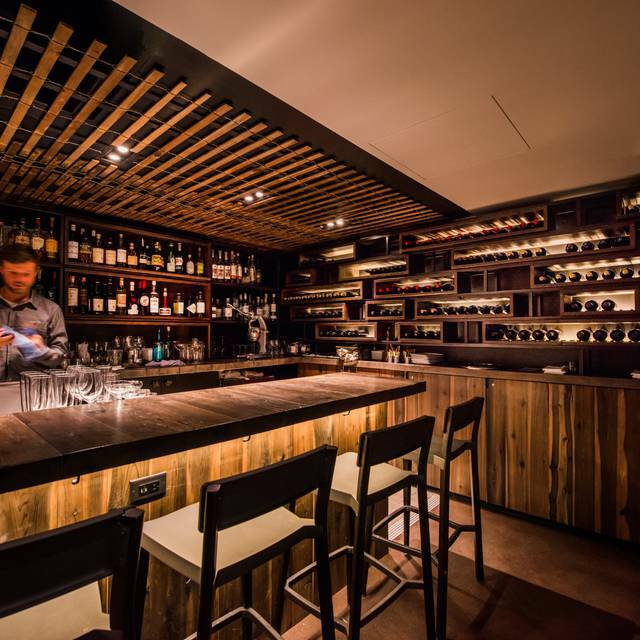 The beverage program is centered on a creative granita bar, craft and classic cocktails and a broad grower champagne selection by the bottle and glass. No ocean. No worries. $2 Oysters + $4 Drinks! Happy Hour Sunday-Friday 2pm-6pm! 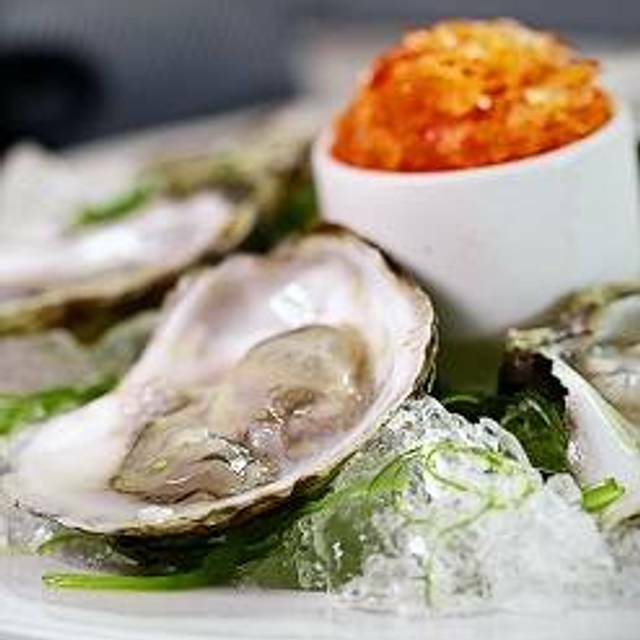 $2 Oysters, $3 Beers, $4 Cocktails and Food Specials! Free mimosa with the purchase of any entree during Saturday or Sunday brunch until 3pm! We will offer a full brunch menu from 9 am - 4 pm. We will offer a full brunch menu from 9 am to 4 pm. Great food, great atmosphere and our waiter, Josh, was wonderful! Service was impeccable. Food, including desert, was on-point!! Rock shrimp are worth coming back for themselves. And again, the service was just awesome. The quality of the meal and its presentation was impressive. Friendly hosts and attentive waitstaff made for a great experience! 3 of us had the fish and chips and the fish was very dry. The other had the tuna melt and it was quite small. Great date night...excellent service and food, and would definitely go back. Carl was excellent. Describing and recommending the best for our special day. Can't wait to come back!! For being in landlocked Denver, the seafood is phenomenal. My boyfriend and I frequently visit this restaurant and have yet to have a bad experience. 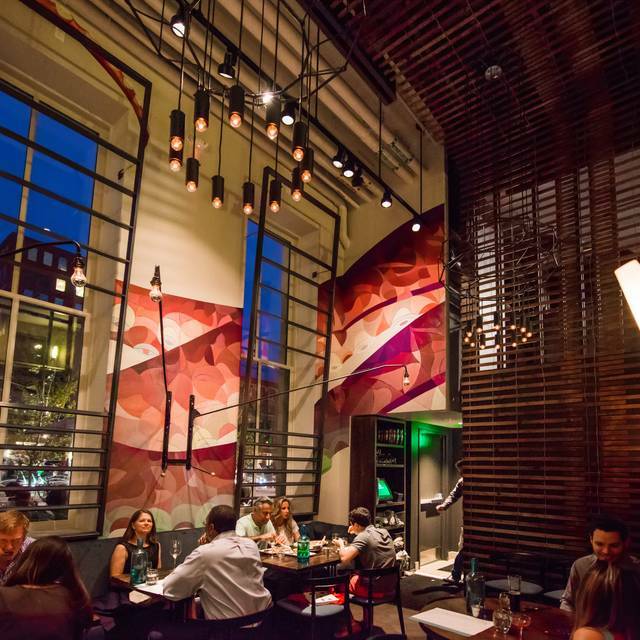 The delicious food, the wonderful service, and it’s being located right in the heart of downtown Denver make it an ideal place for any special occasion or just a Friday night out! The food was delicious and our server, Joel excellent! He was so friendly and knowledgeable about the menu and wine selection. Our dining experience was great! On a side note, just a FYI, there is a kitchen living wage and a PIF tax on top of the sales tax added to the bill. The atmosphere was amazing and the food to match. Would recommend giving a try if you are in the mood for seafood. My wife and I sat at the raw bar counter and had a great conversation with the chef cooking our food and serving oysters fresh shucked. Will be visiting again next time in Denver. This is a place we go to frequently before or after events at the Pepsi Center. We ride in to Union Station for afternoon events and then walk down. The food is really good and they have some nice wines. I'm usually at a loss to decide what to eat. I notice they do have some items like burgers on the menu, but why - place is all about seafood and it is excellent. 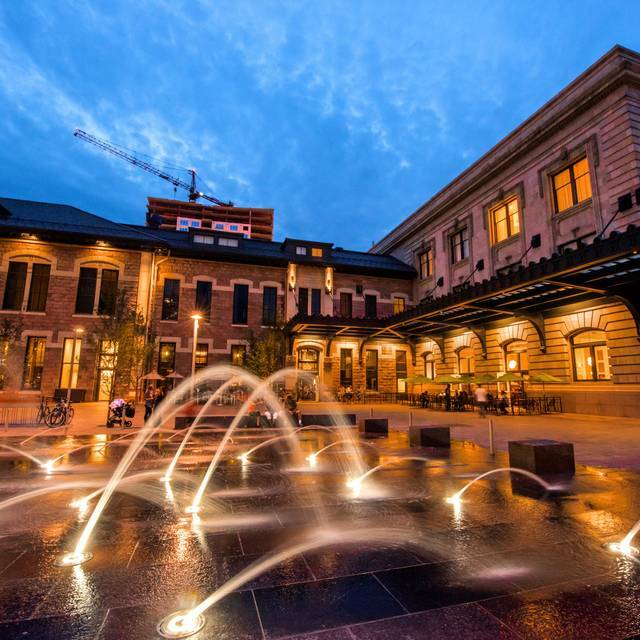 Stoic & Geniune is located right at Union Station and has a beautiful facility! 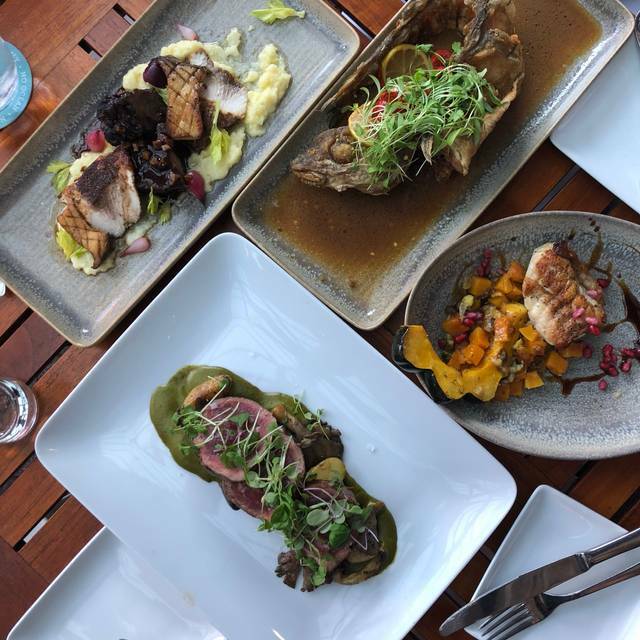 Their entrees combine unique flavors, making it a one-of-a-kind dining experience. My boyfriend was obsessed with their mocha trifle dessert & my salmon was incredible. Can't wait to dine there again! Go for the oysters at happy hour. The oysters were excellent. The portion sizes of the other food is all super small. The food is tasty though. We splurged and tried many dishes. Everytime I go to Denver I try to go to Stoic! Think "luncheon loaf" made with octopus. Perfectly round, thinly sliced, way too much salt. Hello, Thanks so much for writing to us. I'm so sorry you didn't love the Octopus Mortadella. That is, by far, our most popular dish, so that is disappointing to hear. I hope that you will come back and try some of our other offerings. So so good! Oysters were amazing and so tasty! Also had the scallops that were delicious, as well as the burger! And let's not forget the cocktails! We all had at least one of the mulberry street cocktails because they were so good! highly recommend for any occasion! Thanks, Alayna! We are so glad you and your group enjoyed your meal at Stoic & Genuine! Please come back to visit us again soon! Always look forward the tower of power fish! Dietetic yet luxurious. Jim was our waiter and was fantastic! Great wine, great food and excellent service. Thanks, Katie! We are so glad that Jim was able to make you're meal great! Everything was great! This was exactly what we wanted for Restaurant Week! Hi Beth, Thanks so much for writing to us! We are so glad you enjoyed your dinner at Stoic & Genuine. Please come back to visit us again soon. Waitress was awesome and food was great. Had a great experience for restaurant week. We will be back! This was a bad deal for restaurant week as the food was not impressive at all. Major exceptions were the granita cocktails and the lobster bisque which was heavenly and one of the best things I have eaten. It’s the type of place where what you order matters a lot! Second year in a row we drove to Denver and had dinner at Stoic & Genuine for my birthday! Great place, great food, great drinks, great staff! Hi Abigail, Thanks so much! We are so glad you enjoyed your time here. Went for restaurant week. Was not blown away by the food. I love this restaurant! We didn’t realize it was restaurant week, but it still seemed like a normal night even still. Awesome oysters, as always, and everything we ate was delicious! Went to lunch here on Friday. Everything about the experience was 5 start. The menu offerings, including the wine and cocktail menu, was fantastic. The service was great and the food was superb. I will definitely be back when I return to Denver. I was visiting Denver after moving away 2 & 1/2 years ago. This used to be a go too for special occasions. However first off I am dissapointed that I didn't recieve open table points for my reservation. Second off I was very dissapointed in the entree I ordered, the Pailla. It was in a some kind of a saffron gravy with no vegatables or rice. It was much too rich and I believe even made me ill to my stomach. The cocktails were great as well as our server. We were celebrating my son's 30th bday and he comped us a dessert. However for as expensive it was I don't see returning. The seafood was fresh and delicious! We started with the Scallop Crudo, which melted in our mouths! My wife had the scallops and I had seafood Paella - both were excellent! The service was so, so wonderful and made this Valentine/Birthday night out one of our best. Thanks! Hello, Thanks so much for your feedback. We are so glad you enjoyed your meal. Please do come back and see us again soon! Absolutely love this restaurant. Everything was perfect. We went in for Valentines Day and it was an amazing experience from start to finish. We decided to share a bunch of dishes and oysters. If you have the chance to go I suggest you take it. It’s in the old Union Station, that in it self is as romantic and old Denver classy as it gets. Hi Scott, Thanks so much! We are so glad you chose to celebrate Valentine's Day with us. Absolutely unbelievable dinner we had. Service was outstanding and the food was even better. Thanks so much for choosing to celebrate with us! We are so glad you enjoyed your meal, and we hope to see you again soon. Great food, service and a very warm and comfortable environment. Thanks, Bill! We are so glad you enjoyed your meal. Really unique food choices. Lovely for any special occasion. Hi Brian, Thanks so much for your comments. We are so glad you enjoyed the mussels and paella, two of our favorites! Please come back to see us again soon. Excellent service and fresh delicious sea food. The staff is warm and welcoming. I tried the chili citrus granita which was amazing! Hi Kristie, Thanks so much for your feedback! We are so happy you enjoyed your meal.